The Kastrychnitski District Court of Minsk considered yesterday an administrative case against an activist of the Belarusian Christian Democracy party, Andrus Kasheuski. On the 18th of July human rights defenders Sviatlana Lapickaja and Aliaksiej Lapicki applied to executive committee of Zhodzina for holding picket in support of political prisoners. Ales is every one of us. This is who we are! We all are Ales! Solidarity actions are our small contribution to the fight against the repressive and command system, which is imposed to the people of Belarus by a pro-government nomenclature of stagnation times and its longtime leader. 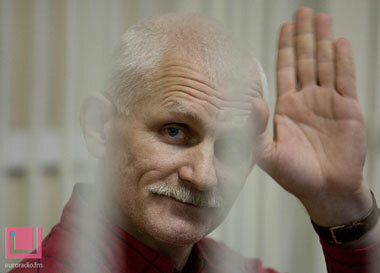 Freedom for political prisoners in Belarus! Or why, in the 21st century Belarusian militia have completely forgotten about telecommunication service? Day and night. Light and darkness. Steps into nothing – into the abyss of betrayal and violence. Betrayal of yourself and people, your country. Violence over human dignity and fundamental civil right. Mockery of one’s own conscience, of innocent people – is nothing like torture over his or her own future. And everything for a better piece of … the “dirty pie” of ruling power!? Zhodzina court admitted its mistakes. That’s how you can explain the accepted comments on trial protocol made by the applicants Aliaksiey Lapitsky and Sviatlana Lapitskaya on the basis of the process recordings after getting acquainted with the protocol of October 25, 2011. At about 12.25 this afternoon, Zhodzina police broke into a private house, where a seminar on the region’s social development was underway. According to Brest human rights defender Raman Kisliak, the list of authorized canvassing venues in the city severely restrains the rights of Presidential candidates. Homel member of the For Freedom movement Uladzimer Katsora addressed the state bodies with the requirement of the fulfillment of the UN Human Rights Committee decision concerned the reactivation of the Civil Initiatives public association. On 10.02.2010 is due the next scheduled meeting of Zhodzina Court on the complaint by the parents of Yanka Lapitski against the misdeeds of the officials of the executive committee of Zhodzina who ceased Belarusian-language education of their son at Gymnasium № 1 of Zhodzina. Meanwhile, on 04.02.2010 Yanka Lapitski’s parents received a letter from the school, dated 14.01.2010. As can be seen, the correspondence was strangely unable to reach the address in Zhodzina for entire 20 days (!?). To study in Belarusian in Belarus… An insoluble problem!? 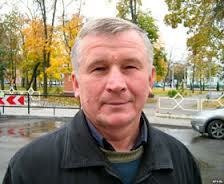 The resident of Zhodzina Viktar Silich, protected his right to freedom of conscience and belief, free entry or non-entry in the official trade union. With the support of local human rights defenders, he made his company’s officials, through performing the Labor Code of the Republic of Belarus, to pay him bonuses properly like to any other employee. On December 10, 2009 activists of human rights community and members of Human Rights Centre “Viasna” in Zhodzina conducted several campaigns devoted to International Human Rights Day. Since early morning informational materials and posters with The Universal Declaration of HUMAN RIGHTS were brought to educational and administrative establishments of Zhodzina. It’s noticeable that Belarusian authorities traditionally make accent only on their own narrow-minded and corporation-official understanding of provisions of this high-rank international agreement in the field of human rights. In their comments they completely rely on provisions of inner law and large limitation powers of the acknowledged indispensable right of Belarusian citizens for peaceful events and meetings which is presented there. Less than two weeks had passed, after the parents of Yanka Lapitski manage the return their own Belarusian-speaking son to full Belarusian-language training in Zhodzina Gymnasium № 1, but the efforts of the Director Henadz Karshun again deteriorated the situation and almost threw it back. Despite the resumption of Belarusian-language education of Yanka Lapitski, the pressure on his parents in Zhodzina still continues. And, as it can easily be seen, with renewed vigor. Its new direct and active performer is the administration of Gymnasium #1, which apparently was not ready for such a speedy return of the Belarusian-speaking student to the educational institution. It is still difficult to say for how long and under which conditions the studies will be conducted in Belarusian as written responses to the parents’ addresses in Zhodzina Executive Committee and Gymnasium № 1 have not come yet. How long and under what conditions it is difficult to say, because so far his parents have not received any written responses to their complaints to Zhodzina executive committee and Gymnasium # 1. Victims of vandalism publicly robbed! Verdict to Vileika activists left unchanged. On November 6 Minsk regional court dismissed the complaint by the pro-democratic movement activists from Vileika region Aiaksei Siudak, Uladzimir Maliarchuk and Ales Narkevich. By a resolution of the Juvenile Commission … the authorities have taken a five-day time-out to make a decision on the future of the Belarusian-speaking gymnasium pupil Yanka Lapitski, who after a discriminatory decision #928 by the Executive Committee of 09.09.2009 was actually deprived of the right to education in Belarusian Gymnasium #1 in Zhodzina. Aliaksei Lapitski (Zhodzina): ‘A month has passed – any results? Who or what do officials fear? Human rights activist Aliaksei Lapitski, father of Yanka Lapitski, has provided his comments on the recent reply by the Ministry of Education in the context of Belarusian-language education in Zhodzina. On 08/10/2009 Yanka Lapitski’s mother was summoned to the office of the ideology department of the company where she works for an hour-long conversation regarding her son’s studies at Gymnasium number 1, where she was blamed for the situation. Last answer from the Ministry of Education concerning the Zhodzina case … raises questions! Yes, on 9 October 2009 parents of Yanka Lapitsky (a Belarusian-speaking student of Gymnasium № 1 in Zhodzina) received another response to theirs appeal, which was sent DIRECTLY to the Minister of Education of Belarus, Mr. Radzkou. Surprisingly, the Deputy Minister, Mr. Faryna, whose inactivity was highlighted in the appeal, responded to this parents’ address to the Minister by himself (!?). Answer from the Ministry of Education of 06.10.2009 under No. 06-1156-K-(1)-0 was signed by this official. On 01.10.2009, the parents of Yanka Lapitski received a response to their latest appeal from the executive committee of Zhodzina. The document was once again signed by the chair of the executive committee Vasil Hryshchanka alone. They asked the head of the Ministry of Education to execute the Constitution of the Republic of Belarus unconditionally as the country’s Basic Law, as well as the international standards of law in the area of civil rights and freedoms. Parents of Belarusian-speaking student, Aliaksei Lapitsky and Sviatlana Lapitskaya made its strongest protest directly to the Minister of Education of the Republic of Belarus, Mr. Aliaksandr Radzkou, in response to just another formal reply from Ministry of Education. Parents of Yanka Lapitski received a response from the Ministry of Education to their first appeal of 28.08.2009. She proves it by the necessity of deeper socialization of the Belarusian-speaking teenager. The officials started thinking what to do further: either to allow or not to allow – what will be the order? Why the Belarusian-language student from Zhodzina is waiting for the new troubles? Or how does this relate to Belarusian people … and … constitutional right to free choice …!? RIGHT TO Belarusian-language education in Zhodzina is again under the question!? Zhodzina city executive committee issued a decision that is not shown to interested parties. What is the essence of this “very non-secret” decision? 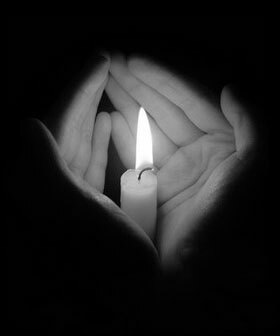 One hand does not know what “a second hand” has already made …!? So what happened … to the “HEAD”? In connection with the fact of ignoring by the court of first instance in Homel of approaches and interpretations of the Supreme Court with respect to picketing contained in the Resolution of the chairman of the Supreme Court of the Republic of Belarus, Mr. Sukala, we can make the following conclusion. Zmitser Khvedaruk, forcefully drafted into army “Young Front” activist, was postponed a surgery till 14 March. He has to serve in the military unit in Zhodzina on the same basis as other soldiers. Zmitser Khvedaruk had a medical examination in polyclinic # 14 yesterday, website mfront.net reports. On 7 February Zmitser Khvedaruk, member of the Young Front unregistered youth organization, officially joined the army in military unit #18662 in Zhodzina. The activist was drafted to the army despite the fact he is a full-time student of the Christian College. He had also been previously prosecuted for membership in an unregistered organization – Article 193-1 of the Belarusian Criminal Code. Thus the state showed that it is the authorities not the Constitution that rules in the country.